Honda only started manufacturing automobiles in 1963 with the introduction of the T360 mini pick-up truck which had a fairly unimpressive 356-cc straight-4 gasoline engine. Their first car was the S500 Sports Car which still only boasted 531 cc, however as the car only weighed in at 680 kg it could still achieve 80mph. Hondas routes are based in two wheels, rather than four in 1959 they became the world’s largest producers of Motorbikes, a title they still hold today. The company has its fingers in many pies and is also the world’s largest producer of internal combustion engines. They are also a major player in garden equipment, marine engines, personal watercraft and power generators as well as venturing into AI and Robotics with the ASIMO humanoid robot. The car side of the business developed quickly after the launch of the S500 as the company focused on developing operations in new export markets around the world. In 1986 Honda launched the Acura brand into the US market in an effort to break into the lucrative luxury car market. 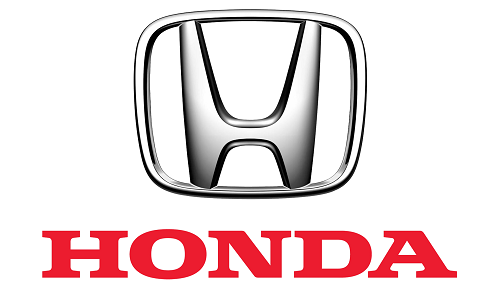 Today Honda is the eighth largest car brand in the world and second largest in Japan after Toyota. They have two cars that currently sit in the top 10 best sellers of all time. The Honda Accord, currently 8th with sales of 17.5 million and the Honda Civic in 6th with sales of 18.5 million. As both models are still in production, they are likely to move up the list. Honda’s are known for their reliability, longevity and affordability. They have also won multiple awards for their safety. We understand that a Honda can be a hard car to part with, after all, it’s probably running as well as the day it was purchased! However, when you do decide to say goodbye and finally utter the words “it’s time to Sell my Honda” you want to make sure you get the best deal available. The process of selling your Honda should be quick and easy with no complicated forms to complete and collection of your car from your own home. With our simple four-step process you could sell your car within hours, and with our experts support, you’ll get the best price possible. 1. The first step is to complete our simple online. We take down your contact details and important information about your car. Once your completed form comes through one of our experts will carry out an initial assessment. Ready to Sell Your Honda?